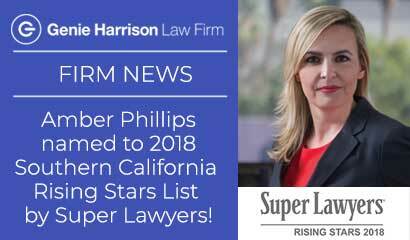 Congratulations to Amber Phillips and Mary Olszewska, who were named Southern California Rising Stars by Super Lawyers. CLICK HERE for a copy of Super Lawyers Magazine, Southern California Rising Stars 2018. June 5, 2018 — By Jeff Green and Sahil Kapur for Bloomberg / Politics. 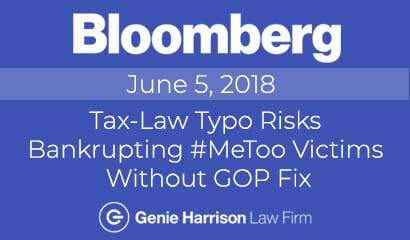 Republicans are considering a fix to a provision in their new tax law that they acknowledge could inadvertently penalize victims of sexual harassment in the workplace. But congressional gridlock before midterm elections in November means there’s no guarantee that the problem will be corrected quickly, if at all. May 3, 2018 — By Edvard Pettersson for Bloomberg. President Donald Trump made it sound like the nondisclosure agreement his lawyer struck with an adult-film star was nothing special. Don’t try telling that to Hollywood lawyers.